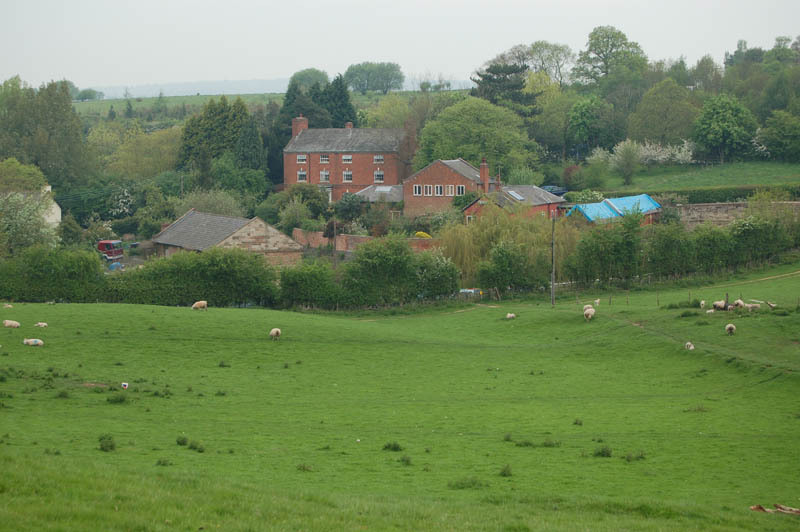 The oldest reliable map found for the village of Tardebigge near Bromsgrove is an Ordnance Survey map dated 1888. This map shows two sites each marked as 'Old Quarry' near to the Worcester & Birmingham Canal just to the south of Tardebigge Tunnel. The map shows one quarry on each side of the canal. A site inspection in August 2004 revealed that both quarries have been filled and landscaped so evidence of their existence is hard to find. Various sources state that both of these quarries used narrow gauge tramways to transport stone to a wharf on the canal. The one to the west of the canal is generally referred to as 'Dusthouse Quarry' presumably as there is a road called 'Dusthouse Lane' nearby. The other quarry was on the east side of the canal and situated between the church and the canal. This is sometimes referred to as 'Church Quarry' or 'Tardebigge Quarry'. This site uses the term 'Church Quarry'. There is reasonably good documentary evidence to support the existence of a tramway from this quarry to the canal. This comes in the form of a map, reproduced by the Revd. Alan White in his book, for a proposed but never constructed public railway. This railway would have followed the course of the canal on its west bank and the Dusthouse Quarry tramway is clearly marked. It seems to have started at the quarry (about a half mile from the canal then followed the course of an old track before heading upwards to the canal which it reached mid-way between Bridge No.56 (a small crossing point over the canal which now carries a public footpath) and the 'Top Lock'. The 'Top Lock' is one of the deepest locks on any canal in England and was built on the site of a unique boat lift. There is no physical evidence on view to give further support to the 'tramway' records but during a visit in May 2008 the MIAC was informed by the owner of the site that there was evidence of disturbed land underneath the presumed course of the tramway that had been revealed by a search using divining rods. The course of the tramway can be traced on the 1888 Ordnance Survey map. 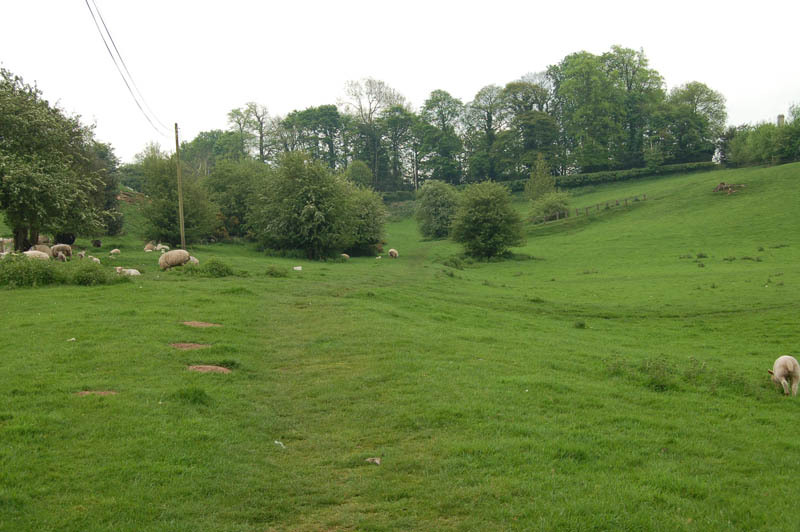 According to contemporary records the Dusthouse Quarry tramway ran across this field near to the fence to terminate close to bridge No.56 which can just been seen at the top right of the photograph. However members of the MIAC note that as the Canal did not open until 1815 there must be considerable doubt as to the accuracy of the date of 1777. The Industrial Railway Society (IRS) lists Dusthouse Quarry and suggests the tramway ran south from the quarry and then uphill to the canal but the dates when the tramway was in operation are shown as not known. The IRS is therefore in agreement with the Revd. White's information. David R. Morgan concurs with the above sources and appears to use the same source material as the Revd. White. Whilst there is reasonable evidence to support the theory of a tramway from Dusthouse Quarry that to support a similar tramway from Church Quarry to the canal is less convincing. The Ian Hughes (see above) reference correctly identifies the site of the quarry but gives no information as to the course of the tramway. The Revd. White states that the incline was too steep to allow the tramway to run northwest from the quarry to the canal and instead suggests it ran north-west across a field to a point almost opposite to that at which the Dusthouse Quarry tramway terminated. The Revd. White's suggested location for the tramway ran from just below the church to near to where the photographer is stood. 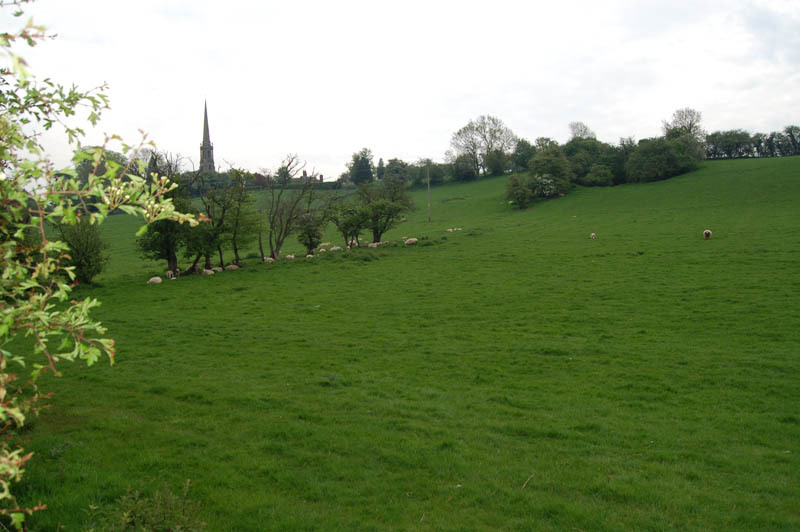 The Industrial Railway Society states that the tramway ran from the quarry to Tardebigge Wharf but the grid reference given for the wharf suggests a point further north than that given by the Revd. White and their suggested course is shown above. 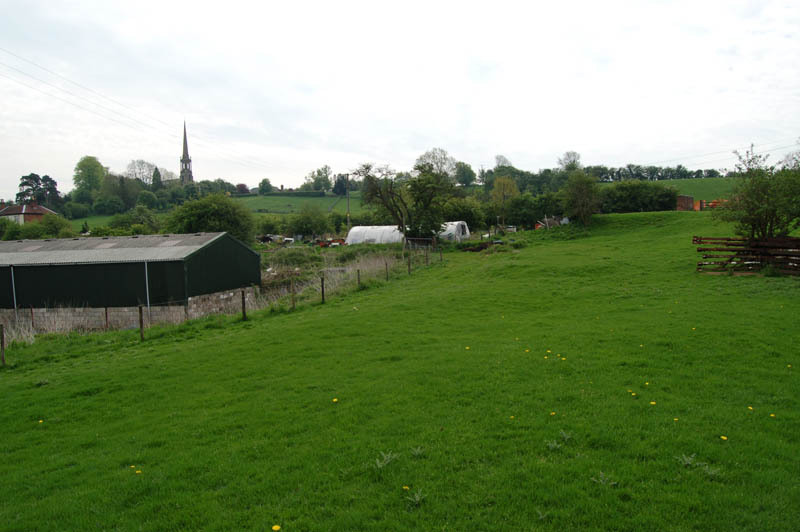 The photograph above shows the view from the church to Tardebigge New Wharf. The tramway if ever built may have run across the photograph from right to left or descended down the path on the right. To complicate matters further David R. Morgan in his book makes no mention at all of this tramway. Sites visits by the MIAC in 2004 & 2008 failed to reveal any earthworks that would support either theory. Further the 1888 Ordnance Survey shows nothing that looks like an old tramway. In the absence of more specific evidence to support the tramway theory the MIAC suggests that its existence is treated with caution. All photographs taken by Andrew Smith on 9th May 2008. Revd. A. White, The Worcester & Birmingham Canal.